John Morris Scientific presents the new WatchDog cellular hay alert system from Spectrum Technologies. The WatchDog cellular hay alert system is an innovative tool that alerts hay growers via their mobile phone when humidity levels reach prime conditions to bale hay, enabling growers to produce a higher quality product. WatchDog cellular hay alert system is available in two models. The standard Cellular Hay Alert dials a customer-provided mobile phone, while the Cellular Hay Alert Pro includes a GSM cellular module, which will place calls and/or send a text message. A pay-as-you-go phone is recommended for both models. 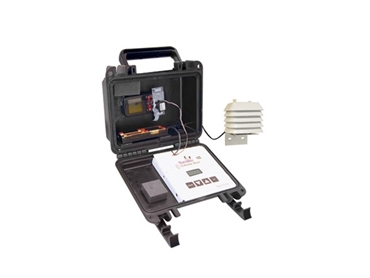 The user-friendly WatchDog cellular hay alert system with user-selected humidity level setting is placed in the field to monitor humidity levels. When the pre-set humidity level is reached, the cellular hay alert will call the hay grower indicating optimum baling conditions. John Morris Scientific specialises in the supply, installation and servicing of laboratory consumables and instrumentation covering diverse industry sectors throughout Australasia.